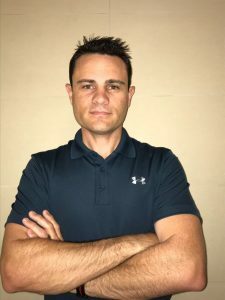 Clint attained a BA in Human Movement Science at the University of Pretoria in 2006, followed by his Honours in Biokinetics at Zululand University in 2007 and has been in private practice since 2009. Clint has a special interest in orthopaedic rehabilitation especially age related degenerative conditions. Clint is an avid touch rugby league player having represented Gauteng in touch rugby in 2015.